As waste begins to build up in your drain, eventually the build up will cause your drain to sustain damage such as cracks and breaks. 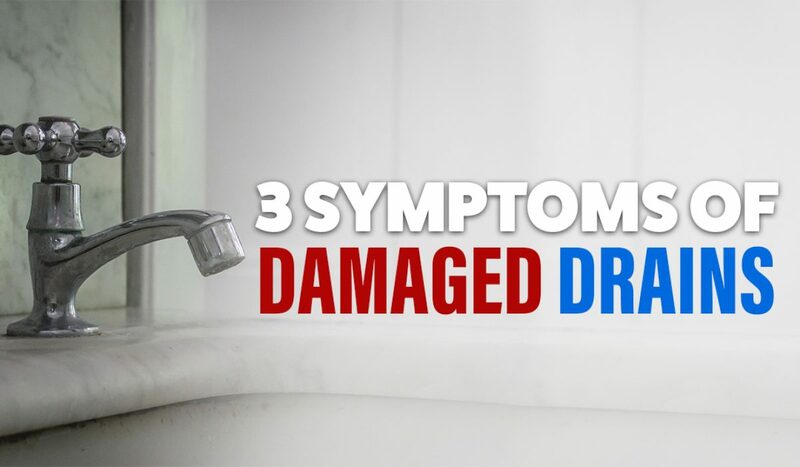 This damage will lead to the development of symptoms which should let you know that it might be time to repair or replace the drainage in your home. If you do find yourself needing to repair or replace damaged drains, whether you’re in Rouse Hill or Revesby, your plumber should be able to get the job done for you. Across Sydney, there are many homeowners who are extremely proud of their lawns. When that lawn is particularly lush, it’s only natural to want to show off just how much of a green-thumb you are. However, if you look at your lawn and you find that your lawn has patches of grass that seem far more verdant than the surrounding grass, it may be a sign that you need to have your drainage looked at. Sewage is an excellent fertiliser for any plant life that’s in your garden, including your lawn. From the western to the eastern suburbs, blocked drains have been responsible for overly lush lawns all over Sydney. As well as unusually lush patches of lawn, another symptom that can be found in your garden are indentations that develop underneath your lawn. This occurs when one of the drain pipes beneath the lawn breaks, and the break is filled in by the soil that surrounds it. Although it may sound like a minor inconvenience, it can actually cause a lot of damage to your lawn. Many plumbers in Hurstville and other long-established suburbs have this issue, as a lot of the houses in the area have been around for a long time, as well as the drainage systems. As is the case with water damage, one of the early symptoms of a damaged drain is the development of mould. When mould develops within the home, the difference in colour it can make to your walls and floors means that its often easily spotted indoors. However, mould may become more difficult to find when it begins to develop outdoors. As well as this, the development of mould also least to the development of further damage, such as rotting wood and deteriorating gyprock. From the greater west to the eastern suburbs, blocked drains pose an issue to every homeowner, as well as a lot of plumbers that are called to deal with them, as many plumbers don’t have the equipment necessary to clear and repair blocked drains. If you want a plumber with the necessary skills, experience and equipment, talk to Plumbing Central Sydney. Plumbing Central Sydney have the jet blasting equipment that’s needed to clear your blocked drains. As well as this, they also offer a 24/7 emergency plumbing service, in case you have any issues that need immediate attention. If you’d like to know more about how Plumbing Central Sydney can fix all your plumbing problems, give us a call on 0410 011 999 today.